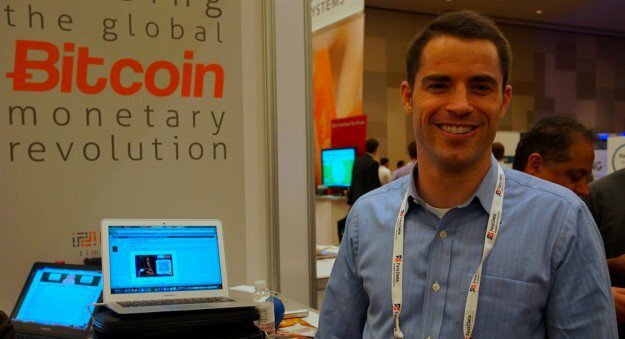 Roger Ver is an entrepreneur, investor and Bitcoin Pioneer. He has bet a lot of intellectual and monetary capital in the Bitcoin revolution, which he supports not just because it is a technological advance in our financial infrastructure, but also because of the new hope for human liberty that it represents. Bitcoin Magazine: How and when did you first hear about Bitcoin?Roger Ver: I first heard about Bitcoin in late 2010 on the www.freetalklive.com radio show / podcast. BM:Why is Bitcoin important? Why is it different?RV: Bitcoin is different from any other payment form in the history of mankind.For the first time in history, anyone can transact with anyone else, anywhere in the world, and it is impossible for a 3rd party to interfere in any way. BM:What makes you think that it will catch on?RV: All throughout history, people (thieves, kings, tax collectors) not directly involved in a transaction, have forcibly interfered in other people's transactions. Bitcoin now gives everyone on the planet the option of removing themselves from the arbitrary control of others. BM:What makes you think that it will last? Is it really that resilient?RV: The only reason Bitcoin wouldn't last would be because something even better comes along, so all the proponents of individual liberty still win. If Bittorrent is any example, the Bitcoin network really is that resilient. BM:Is Bitcoin really censorship-resistant? Can it thrive in, for example, China? Argentina?RV: It can thrive anywhere in the world with the internet. That currently includes China and Argentina. Even non-Bitcoin users would be rioting in the street if a government tried to cut them off from the internet. BM:Can Bitcoin scale? What will it need to support 100 million users?RV: Bitcoin can scale, but will surely experience some growing pains along the way. As it scales, there will be more and more people with a vested interest to help fix any issues that arise. BM:How will Bitcoin change the world? Describe your best-case scenario for Bitcoin 10-20 years from now.RV: Governments currently pay for their actions through theft (taxation), and counterfeiting (inflation). Bitcoin will make taxation much more difficult, and inflation impossible. More people were killed in the 20th century by their own governments than by all wars combined. The odds of you being murdered by a government, not including wars, is higher than your chance of dying from diabetes, alcohol, tobacco, traffic accidents, homicides, and just about all other single medical illnesses.In my ideal world, Bitcoin will bring an end to the nation state, allowing people across the world to deal with each other on a voluntary basis. BM:Do you consider Property a Natural Right (like Free Speech)? Or is it just an artificial legal construct? What about IP?RV: I believe that property is a natural right that stems from each individual's ownership of their own body.People own property when they mix their labor with something that was previously unowned, or voluntarily trade with others for existing property. I was persuaded by Murray Rothbard's arguments regarding IP. Patents are an illegitimate grant of monopoly privilege by the state. Copyright is a perfectly valid contractual agreement. BM:Medium of Exchange or Store of Value? If you had to choose just one of these two functions, which would you rather have Bitcoin be optimized for? RV: In most circumstances these have traditionally been two sides of the same coin. 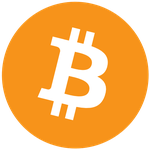 Bitcoin is currently better as a medium of exchange, but with time, I believe it will also become a store of value. BM:Are you worried about competition? Do you think that Bitcoin will be replaced by something better?RV: I hope Bitcoin is replaced by something even better for the same reason I hope my computer will be replaced by a better model in the future. Things being replaced by something better is what makes the world a better place. BM:What do you think will be the first big Bitcoin fork that really divides the community? Which side will you choose?RV: I don't know what will cause the first big fork, but I am sure that I will take the side that supports individual rights. BM:Can Bitcoin be hijacked and mutate into Fedcoin? can it be centrally controlled?RV: I think this is unlikely since people can now voluntarily chose to use whatever crypto currency they want. BM:What Bitcoin projects are you currently involved in?RV: I've invested over $1M USD of my own money into over a dozen Bitcoin related startups.The most well known would be Bitcoinstore.com, Bitinstant.com, Bitpay.com, Blockchain.info, Coinlab.com, Bitcoinfoundation.org. 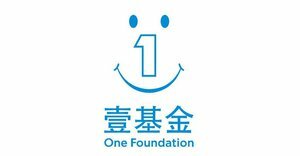 If you have a great Bitcoin related idea that needs funding, please contact me!